The physical environment inside the cage housing rabbits can be quite different from the environment in the surrounding room. Temperature, humidity and concentrations of gases and particulate matter are often higher in the animal’s cage. Because these conditions can predispose rabbits to disease, ventilation and cleanliness of the cage and the room it is housed in, is very important. The purpose of bedding is to keep the animal clean and dry. We recommend Tek- Fresh or Care-Fresh bedding. This is a substrate that is made from recycled newspaper. It is non-toxic and has a large water holding capacity. Wood-based substrates (cedar and pine shavings) are not recommended because the natural oils in the wood shavings can cause upper respiratory and skin problems in rabbits. Rabbits were not designed to live on wire floors. Living on wire floors can cause a condition known as sore hock to develop on their feet. Cages with wire floors must have a piece of plywood, plexiglass or carpet that the rabbit can sit and lay on. If you try carpet and the rabbit chews it, immediately replace it with something else. The best cages are made of a material that will be easy to clean and deodorize and is indestructible to chewing or digging. The cage floor should be solid, but should also be waterproof and easy to clean, so wood is not recommended. Any cage should provide a secure environment that does not allow escape. It should be free of sharp edges or projections that could cause injury. and for a large breed rabbit a minimum of 3 feet by 4 feet (1728 square inches). Manufacturers have developed many enrichment items such as tinted polycarbonate (plastic) tunnels and igloos that allow the owner to see the pet, but give the pet privacy and a sense of security. Other items include: nontoxic Gumbabones and Nylabones that rabbits love to gnaw and sturdy, hollow plastic balls with holes around the outside and a stainless steel rattle inside. Untreated straw baskets (no stain or laquer) or natural wood blocks also allow the rabbit to express natural chewing behavior. Enrichment toys should be rotated every 3-4 days so that the rabbit does not get bored. You can find suitable toys at local pet stores. But if you can’t find a good variety, try www.thatpetplace.com, www.busybunny.com, or www.petdiscounters.com. Grasses and hay are important in the rabbit’s diet, and we recommend a high fiber diet for oral and gastrointestinal health. A good quality timothy hay should be clean and available at all times. This can make up the bulk of the diet and provide roughage. Pelleted feed can be offered in small amounts, no more than 1 Tablespoon per pound daily. We recommend a high fiber pellet, such as Bunny Basics, made by Oxbow (http://www.oxbowanimalhealth.com). This diet is available for purchase from PetSmart. If pellets are given too freely, it may result in obesity. Clean water must be available at all times. red and green leaf lettuce, escarole, watercress, Swiss chard, bok choy, endive, and romaine lettuce. Dandelion, collard greens, turnip greens, mustard greens, kale and parsley should be avoided due to their high calcium content. Why spay or neuter? 80-95% of unspayed female rabbits will get uterine or ovarian cancer between two and five years of age, and a very high rate of males will get testicular cancer. 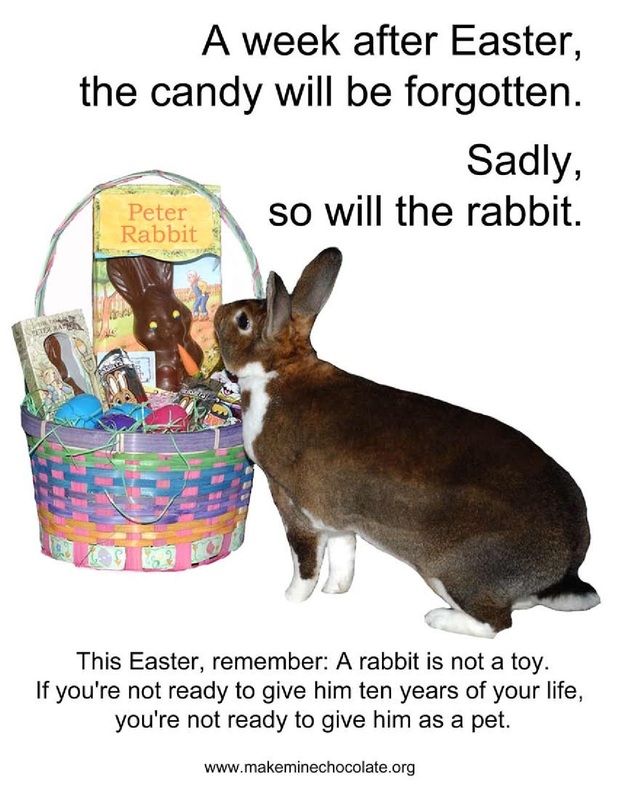 Spaying or neutering your rabbit will give him/her the potential life span of eight to twelve (or more) years of age. Also, upon reaching sexual maturity, rabbits will also display such undesirable behavior as spraying urine, chewing inappropriate objects, fighting with other rabbits, etc. In most cases, spaying or neutering totally eliminates this behavior. Rabbits are prey species in the wild so they tend to hide illness to prevent being eaten by predators. If your pet rabbit shows any unusual signs (ex. anorexia, drooling, grinding teeth, reduction is stool production, etc. )it is best to get your pet to the veterinarian as soon as possible. 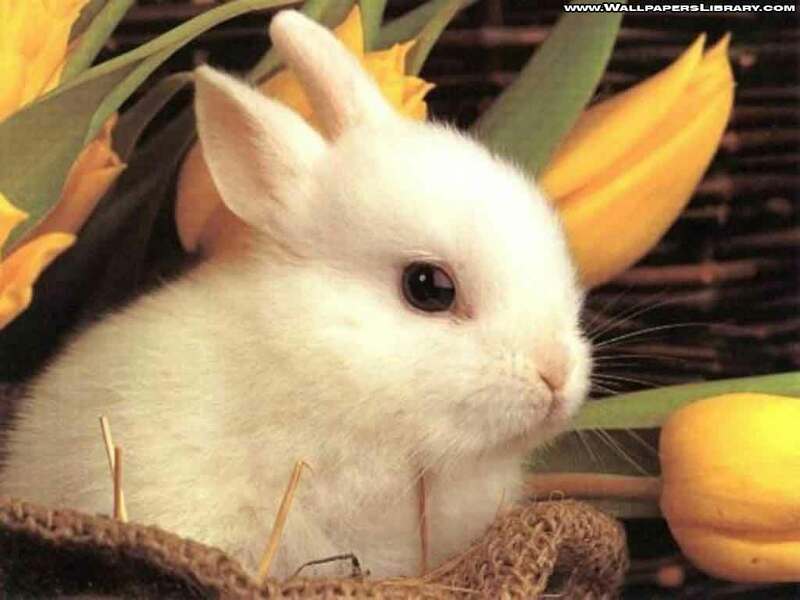 This entry was posted in Rabbit Care, Rabbit Husbandry on April 10, 2011 by yourfriends.